Such a stunning view! The Monte Carlo looks breathtaking during this bayside sunset. 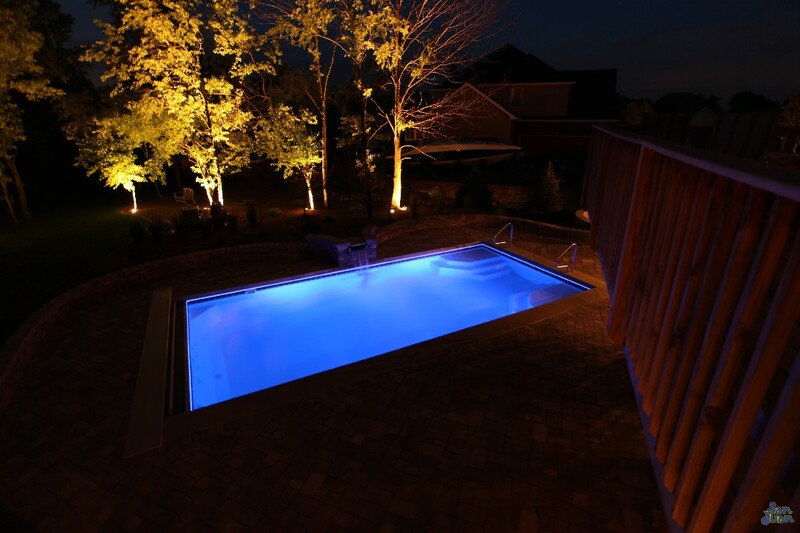 We believe it’s time for you to get a glimpse of a beautiful fiberglass swimming pool in your own backyard. Are you tired of the work day monotony and looking for an escape? Don’t spend all of your money on an exotic vacation that lasts only a week. Why don’t you instead invest your hard earned money on a swimming pool for an everyday getaway? 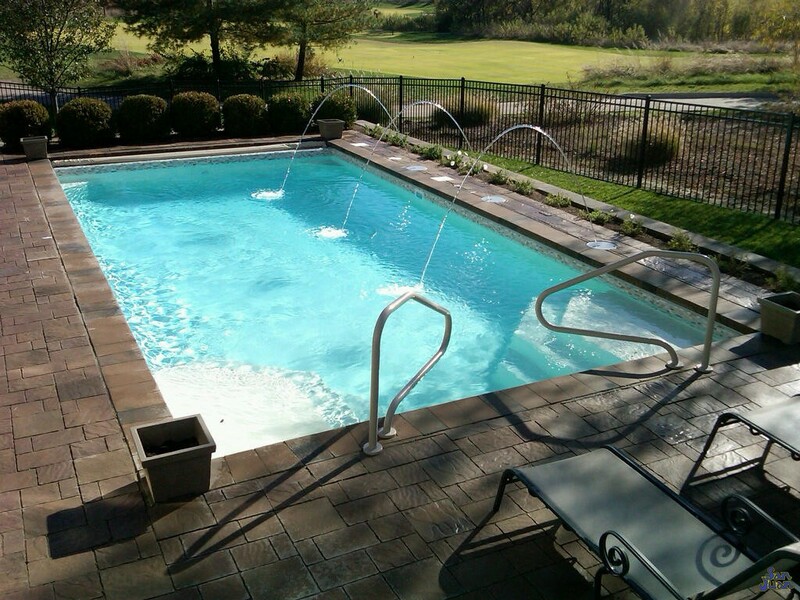 That’s what this home owner did with the Monte Carlo fiberglass swimming pool. The Monte Carlo is a modern rectangle swimming pool with a dual set of entry steps. It gives the swimmer a shallow end to deep end design. Simple as that. 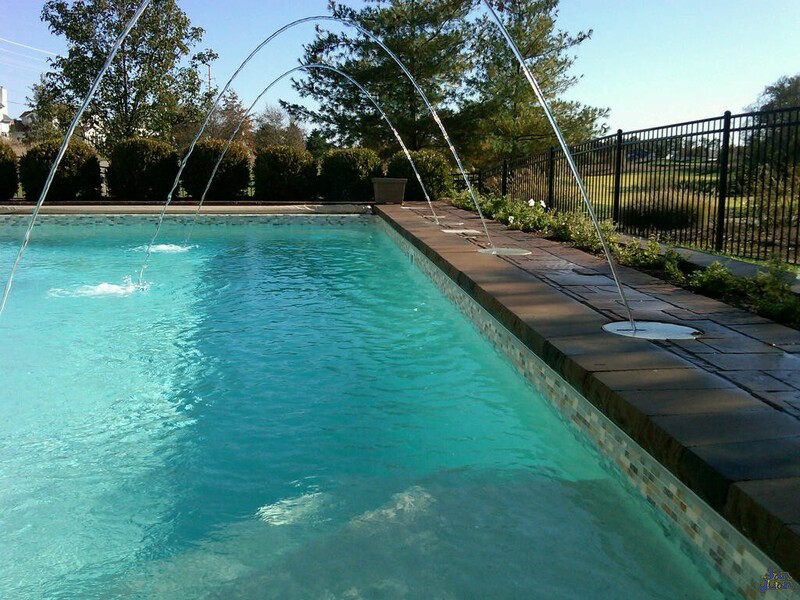 If you’re a swimmer who wants to create a beautiful backyard with simple lines and design, the Monte Carlo is perfect for you! 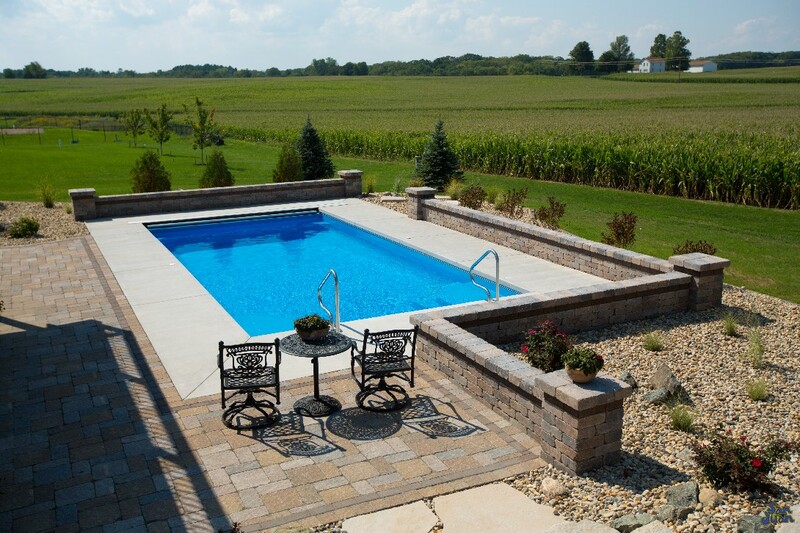 This pool shape is very popular among homeowners who pair it with beautiful landscapes. Diverse trees, shrubs, types of decks and scenic backdrops only enhance the austerity of the Monte Carlo. It’s hard to go wrong with a simple and renowned swimming pool design. 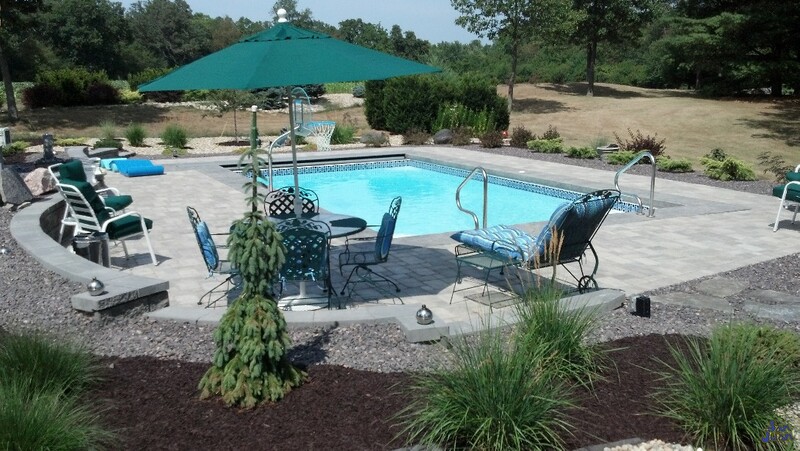 As we’ve stated, the Monte Carlo is a simple pool design. It’s length of 31′ 10″ allows it to fit into most backyards. Secondly, it’s conservative size of 12,000 provides plenty of swim space that’s excellent for lap swimming. For families with young children, the shallow end depth of 3′ 3″ makes the Monte Carlo an excellent swimming pool for at home swim lessons. We’re sure that you’ll love this pool shape and know that you’ll find creative ways to make it your own. 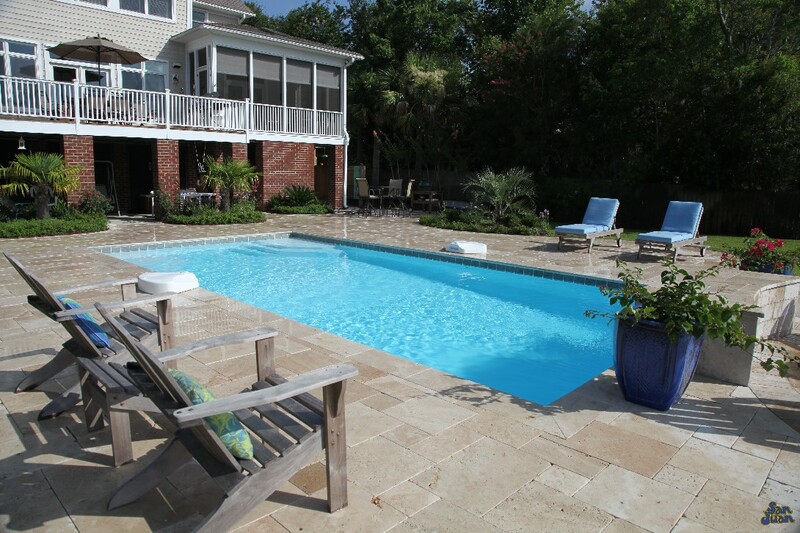 This swimming pool pairs excellently with a handrail for added safety and outdoor furniture for times of relaxation. Isn’t it time to create your very own backyard paradise?